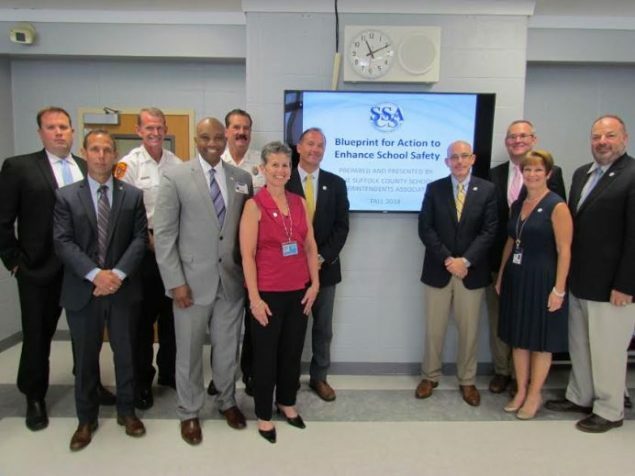 On Aug. 27, 2018, the Suffolk County School Superintendents Association executive board introduced the association’s five-point Blueprint for Action to Enhance School Safety during a meeting with Suffolk County law enforcement officials and representatives from the office of Suffolk County Executive Steve Bellone. 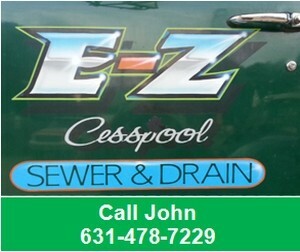 Hosted by the Elwood School District, the meeting was facilitated by Dr. Kenneth Bossert, superintendent of the Elwood School District and president of the SCSSA, along with Lars Clemensen, immediate past president of the SCSSA and superintendent of the Hampton Bays School District. Members of the SCSSA Executive Board met with Suffolk County law enforcement officials and representatives from the office of Suffolk County Executive Steve Bellone to discuss the SCSSA’s five-point Blueprint for Action to Enhance School Safety. While school safety has always been a top priority, following the horrific massacre at Columbine High School in Columbine, Colorado, and the tragic events that followed, the importance of a strong working relationship between the police, mental health providers and public-school officials has become more important than ever. The SCSSA plan recommends five actionable steps on the local, state and federal levels to enhance school security: invest in the School Resource Officer (SRO) program, providing additional officers in Suffolk County schools; adopt legislation that enhances campus safety, including amending the N.Y.S. Criminal Procedures Law dealing with setting bail; make the N.Y.S. SAFE Act the law of the land; support the social, emotional and mental health of children through screening programs and education initiatives; and provide institutional support to finance school safety, calling for the state to initiate School Security Aid and to exempt school safety expenditures from the tax levy limitation. The SCSSA plans to continue to work together with Suffolk County law enforcement and local, state and federal legislators to turn these plans into actions that will improve school safety and the safety and wellness of all students in Suffolk County.